Is the cheapest payment gateway the best one? Price is one of the factors, but not the most important one. There are a large number of payment providers with similar fee structures, but there are other things to consider. For example, choosing a payment provider that is in line with your business objectives. First, ask yourself, what must the payment gateway have to meet my needs? Focus on the technology, set up issues, quality of service, and the customer support (you need a provider with a fast reaction when something unexpected happens). Choose the one that saves you both money and time. Make sure there are no hidden fees and avoid paying additional costs such as an application or annual fee. It’s hard to avoid chargebacks these days. No matter what kind of business you run and no matter what you sell. Learn what chargebacks are, how to deal with them, and how you can reduce them. As there are many card processing companies offering different services you will not have a problem to find one just for you. Define your business needs. Companies with the lowest prices usually put them on their websites to attract potential clients, but there are hidden conditions. You need a provider that’s transparent so focus on the real cost. The truth is, nothing with value is free. You need to know which functions you want your payment process to have. Even if a #paymentgateway seems to be more expensive, it could make up for it in the end. Don’t forget that conversion rate is extremely important for your business. The design of the checkout process also matters. Well-designed payment gateways with user experience in mind are more customer-friendly and can make you more sales (and boost your conversion). Even if a payment gateway seems to be more expensive, it could make up for it in the end. Do you want to sell globally? Some payment gateways charge higher fees when you sell in other currencies. Keep in mind that it’s always cheaper when you don’t have to worry about PCI compliance, anti-fraud tools and security issues. But, the best payment gateways have it all. Last but not least, choose the payment gateway with an outstanding and responsive customer service. You need to be sure that if a fraudulent transaction or something unexpected happens, they will be able to resolve your problem quickly. The wrong decision could cost you money and your reputation in the long term. 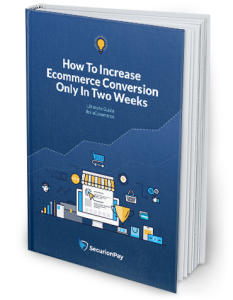 Before you make a final decision about the right payment gateway, consider whether you need only one-time payments, recurring payments or, for instance, a cross-sales option. Some providers offer these as basic features, so you won’t need to look for another solution in the future. Compare prices and prepare questions to ask the payment providers to get clear answers. Some good questions to ask are if there are any minimums and annual fees (when a certain amount of money isn’t processed), what the chargebacks fees are, and if the API is easy to integrate. The integration can be costly and time-consuming, so it’s better to know which technical solutions are offered by your potential payment gateway. If you’re a non-technical person, you can choose the provider with a drag and drop solution, such as SecurionPay. It takes a few minutes to set it up on your website and requires just one line of code. You should also know how much margin you gain on a single sale. This will help prepare you to negotiate rates, and you’ll be certain which offers suits your business best. Keep in mind when you negotiate rates that innovative technology has its cost, so don’t try to bring the price down too much. Payouts are also an important factor. Ensure what the time of settlements is right for you. It could be eg. daily, weekly or monthly. If you want to get paid fast, don’t choose a solution with monthly settlements. Sometimes the fees can be too costly for you as well, for example when you choose daily settlements. Consider then receiving the money less frequent. Moreover, find out what the cost of a wire transfer is. Usually, when your volume is significant, the banks take on the wire costs themselves or charge you a few Euros or USD for a transfer. However, there are banks with higher fees so make sure you know what the costs are beforehand. You could also face the rolling reserve issue. It’s when the bank or payment processor hangs on to part of your money for 3-6 months to protect themselves from the possibility of chargebacks. When the chargeback occurs, they will use it to cover the cost in case your revenue is not efficient enough. But, they will return your money after a certain period if everything is ok.
You need to understand that low cost doesn’t always come with a high value, especially in the financial industry. It’s important to find the payment solution that’s affordable, but also fulfills your needs. It’s natural to have some doubts when choosing a payment gateway for your website. Ask your friends or business partners for recommendations and get a wide range of information. Consider all the pros and cons and… listen to your gut.